With over 70,000 titles and growing, you’re sure to find the titles you need to engage your students. Mackin offers audiobooks on CD, audio devices, and digital. Best of all, digital audiobooks sync up perfectly in MackinVIA – our FREE digital content management solution. Students can listen on all devices including desktop computers, tablets and smartphones. Mackin.com offers over 50,000 titles from bestsellers to the classics. MackinVIA Audiobooks have no extra subscriptions or hosting fees. Students can download audiobooks to their personal device for offline listening. All administrative management is done easily within MackinVIA along with all of your other digital resources. All audiobooks can be accessed along with the rest of your eBooks, databases, videos and more inside the MackinVIA app. View an infographic about audiobooks and literacy! To learn more, visit Sound Learning’s website for more information. Learn more about MackinVIA, our digital content management system! Order today! Browse by grade level and category below. *Starter Pack content and prices are approximated and may vary. Please see individual title prices in each group to see your final cost. streaming audiobooks, geared towards more mature readers, in high school or higher. Titles include unabridged high quality audio versions of classics of American and world literature, non-fiction, fiction, and children and teen books. They have licensed audiobooks from audiobook publishers like Blackstone Audio and Orca Book Publishers. They also offer plays and drama, including all cast versions of popular Shakespeare plays. ranging PK–Adult. Narrators are professionally trained and accomplished performers, many having received national recognition awards including a spot on the Library Journal’s Best Audiobooks list. aid. Striving readers need to hear & read to improve comprehension. Now they can have one-on-one instruction, on the Go! Mackin features a full catalog of Playaway titles and Playaway Bookpacks to build your library. Discover why students and educators find Playaway® to be the simplest way to listen to an audiobook. Unlike CDs, audio cassettes or downloads, Playaway does not need a separate player. Instead, Playaway comes pre-loaded and ready to use. for grades K-12 that ensures your copyright safety. Soundzabound is the only royalty free music library who understands the growing technology requirements and licensing needs for education, having been created by educators for education. Instant, unlimited and simultaneous access to over 8,000 high interest audiobooks from leading publishers. 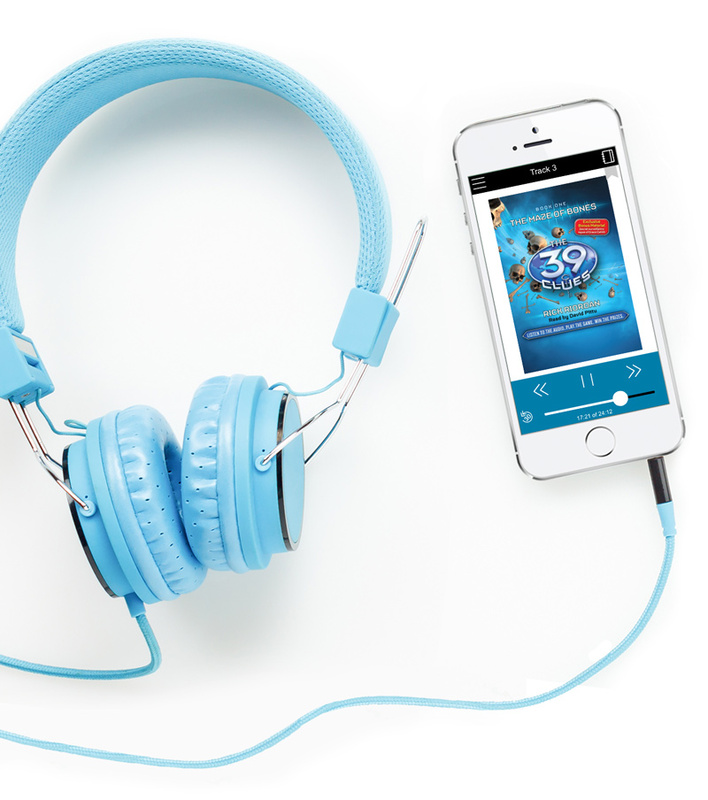 Tales2go is a subscription audiobook service designed for K12 schools. Tales2go can be accessed on any desktop, laptop and most mobile devices, both at school and at home. We offer over 48,000 titles in both CD and CD-MP3 formats. MP3 stands for Moving Picture Experts Group (MPEG), Audio Layer 3. The total file size is smaller, without sacrificing audio quality, allowing for more storage. While a regular audio CD holds 74 minutes of audio, MP3-CDs can hold up to 12.5 hours of audio. Also, if the primary use of the audiobook is to be played on a MP3 device, it is the most practical as the longer tracks create less file ‘clutter’ and MP3-CD audiobooks cost less. How many students can use the audiobook at one time? When a “physical” audiobook (CD, MP3CD) is purchased for a classroom or by a library, it can be lent to the students or patrons. But only one student or patron can borrow it at a time (one book, one user basis). The first one will have to bring it back to the school or the library for the second student or patron to be able to check it out. The students can listen to the audiobook on any device of their choice. It is expected that the files are deleted once the patron or student is done with it. Are there restrictions on loading the content on the MP3 CD to a device? Yes – the only person that is allowed to load the audio is the patron/student. The library cannot load the audio for the patron/student. It must be done at home. Does the content need to be deleted from a student’s device before being loaded onto another student’s device? Publishers expect that once a student is finished, he/she will delete the title from the player, but once the MP3 CD is returned to the library, the next student may check it out and upload it (even though the last student may not be finished). Is there a limit to the number of times the content can be loaded? No, as long as the school/library is not doing the loading. What’s the difference between a Library Edition and a Retail Edition? The library edition will have more durable packaging for high-volume circulation designed for library use.